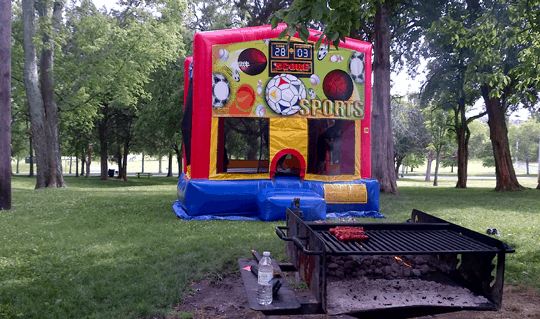 Rent this Inflatable Bounce house for your event or party. This Standard Bounce House is great for both girl and boys. Note: The 15×15 standard bounce house does not include the interior basketball hoop.